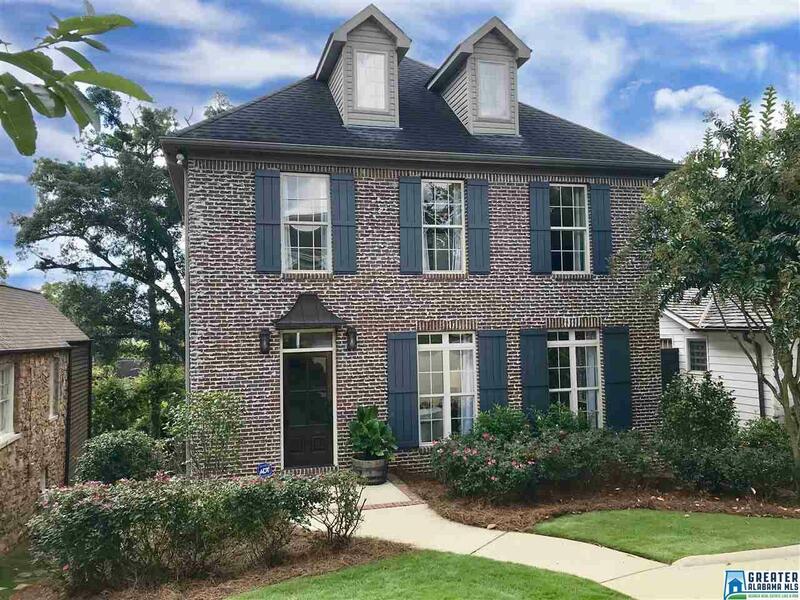 2117 English Village Ln, Mountain Brook, AL.| MLS# 828761 | Richard Jacks UABLIVING.com 205-910-2297 | Birmingham AL Real Estate | Contact us to request more information about our Homes for Sale in the Birmingham AL area. This English Village home has it all! A 4BR 3.5BA home with updates and fabulous open floor plan. Features hardwood floors on the first 2 levels, 10+/-feet ceilings and so much natural light. The large kitchen has stainless appliances, granite countertops, gas cooking, modern lighting, and French doors leading to the new covered and screen porch & back yard. The den has a gas fireplace & lots of room for entertaining. The master suite is newly renovated with beautiful hardwood floors, walk-in closet, and breathtaking bathroom. Full 1,300 sf daylight basement w/access to back yard is already waterproofed and ready for expansion/completion if needed. The fenced back yard is newly landscaped with irrigation. Two car main level parking and handsome full brick exterior welcome you. Enjoy spacious living within walking distance of English Village, the Botanical Gardens, Birmingham Zoo and much more. Conveniently located in Mountain Brook and minutes from UAB and downtown Birmingham. Driving Directions: Traveling From Mtn. Brook Village To English Village, North On Cahaba Road Pass The Zoo, Proceed Up The Hill To English Village Lane, Turn Left And House On The Left.